The thirteenth annual Louvre Autumn Sailing Series took place during September and October, with more youngsters than ever taking part. 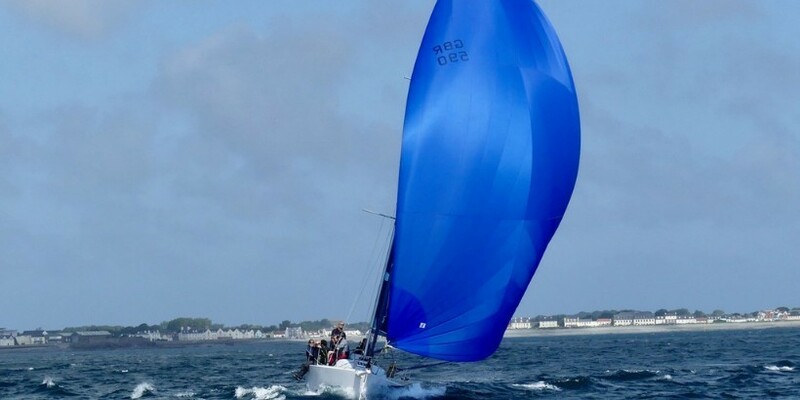 Organised by the Guernsey Yacht Club (GYC), two classes of racing yachts and two classes of dinghies competed in the handicapped race challenge. The series saw competitors accrue points throughout the seven races, ahead of a prizegiving. It is thanks to the long-term sponsorship from Louvre Group that this series has been possible for over a decade. The weather this year, while being marginally better, was still not ideal with sailors facing either a barrage of gale-force winds or no wind at all; this lead to the cancellation of several races. This bad weather meant that unfortunately, the final race of the series was cancelled. This proved to be a good decision from the Guernsey Yacht Club, as the actual conditions were even worse than forecast and would have been positively dangerous to run a race. Despite the race not taking place, the presentation lunch held at the Yacht Club courtesy of Louvre Group went ahead where competitors received commemorative tankards. The international rating certificate (IRC) Class I vessels managed to complete three out of the seven scheduled races. Despite the debut appearances of new yachts Majic and Sun of a Gun, it was the race series stalwarts that took the podium positions. Kaya, helmed by Roger Martel took third place, Simon Henning in White Rabbit went on to take second with John Knight of Fidelite making a great come back and claiming first place. The IRC Class II saw two vessels who have been absent from the racing calendar for a while make a triumphant return. It was neck-and-neck between these two boats throughout the series with each taking the win of the other from week to week. Nonetheless, it was Jim Nicolle at the helm of Mustarmitt 2 that took the win followed closely by John Falla on Banjaard who claimed second place. This year the series saw a host of the club’s junior sailors taking part in the dinghy classes, accounting for over a third of the entrants. Race organisers praised the good work done by the junior sailing committee and their team of volunteers in bringing these youngsters on. Class 6 (the slightly faster dinghies) saw Allister Cleal claim first place sailing Love Machine, he was closely followed by Stuart and Carol Bloese onboard their RS 500 with Gary and Tina Coutanche taking third place in their dart 18. In class 7 (the slightly more tactical dinghies) it was Martin Boyde accompanied by nine-year-old Carrie Boyde sailing ‘A Bit of Blue’ who took first place, Emma Warner on a Laser Radial came in second ahead of junior sailors Hannah Jones and Bella Duquemin at the helm of an RS Feva who took home third. Simon Hughes, a member of the Guernsey Yacht Club Sailing Committee, said: ‘The weather wasn’t in our favour for many of the races this year, but we still managed to get a couple of great races in. It’s been great to see the juniors mixing it with the adults, and often showing them the way around the course! It was made even more special by seeing some of them place in class 7. Matthew Gilligan, Client Relationship Manager at Louvre Trust Guernsey, concludes: ‘Although the weather hasn’t been as kind as we would have liked, we have still seen some great racing this series. It is great to see how the series is still continuing to grow even after all these years, with the new entrants. It is also incredibly impressive to see the juniors not only taking part but also placing in the top three.